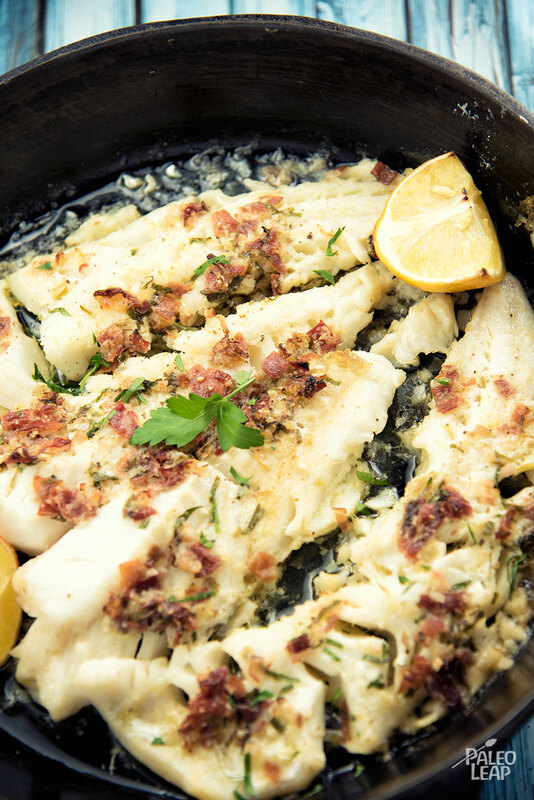 Take your roasted-fish game up a notch with this quick but flavor-packed recipe. Cod on its own can be a little bland, but that just makes it a perfect canvas for a rich topping. Salty and porky prosciutto, sharp Dijon mustard, and a squeeze of lemon juice add some serious flavor to the fish, and using ghee as a base adds richness and a delicious velvety texture, not to mention some nutritious fat to go with such a lean fish. If you’re not familiar with prosciutto, it’s a type of cured pork; you can often find it next to the pepperoni and bacon. Just make sure you get a kind without junk ingredients. You don’t need a lot of it, just enough to add flavor without making the dish as a whole feel heavy. Because it’s all made in one pan, this is a very quick dish to throw together for dinner with a big leafy salad and some fresh fruit for dessert. 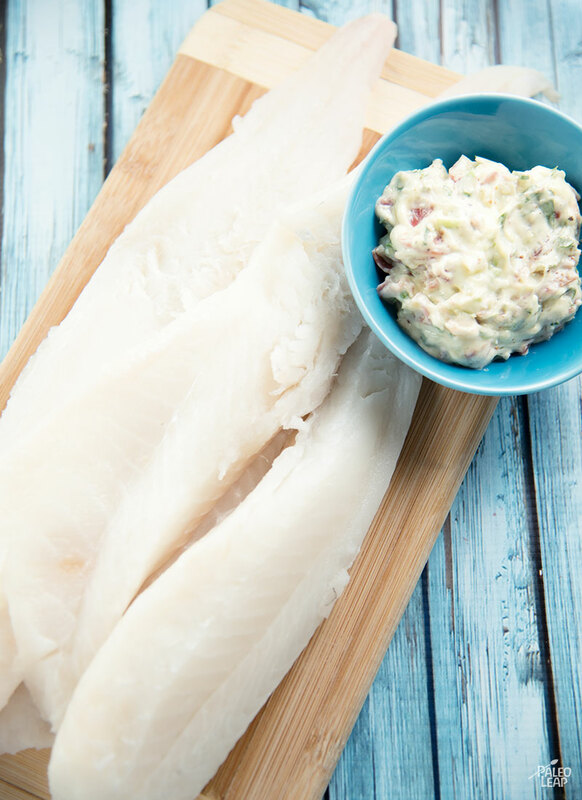 It’s especially great if you’re eager for the summer cooking season but not quite impatient enough to haul out the grill in March – a plate full of fresh, lemony fish makes the wait so much more enjoyable. In a bowl, combine the ghee, parsley, garlic, shallot, Dijon mustard, prosciutto, lemon juice, and season with salt and pepper to taste. Season the cod fillets to taste. Heat the cooking fat in a ovenproof skillet placed over a medium-high heat. Cook the fillets for 3 to 4 minutes per side. Spread the ghee mixture equally over each fillet. Transfer to the oven and bake for 5 to 10 minutes, or until the fish is cooked through.